If you have always wanted to try your hand at creating your own masterpiece, now is your opportunity. 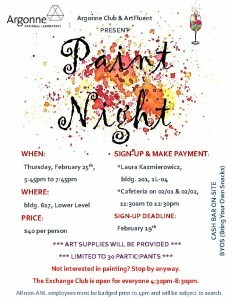 Plan to attend Paint Night on Thursday, February 25th at the Exchange Club! Even if you choose not to participate in Paint Night, the Exchange Club is open for everyone from 4:30-8:30PM. 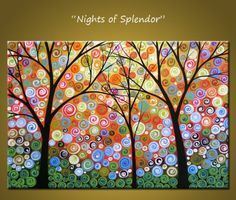 The painting theme for the evening is the Nights of Splendor. There are still a few openings left. Please contact Laura Kazmierowicz @2-2985 by February 19th to register.